Environmentally friendly fuel manufactured from 100% wood and contains no additives. Hardwood sawdust is put through an extrusion process that generates extreme heat and pressure. The natural resins in the wood (lignin) are released and bind the product together. 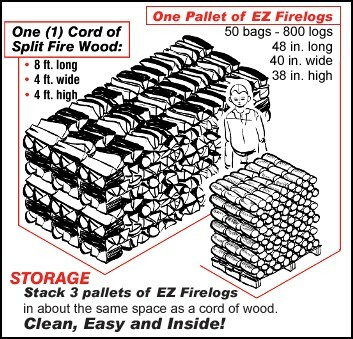 Logs are typically 7" in length, 16 logs per bag and 50 bags per pallet.